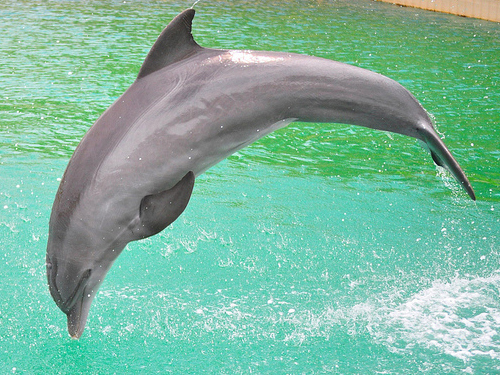 Get a chance to play with the delightful and energetic Bottlenose Dolphin in its natural, outdoor habitat. 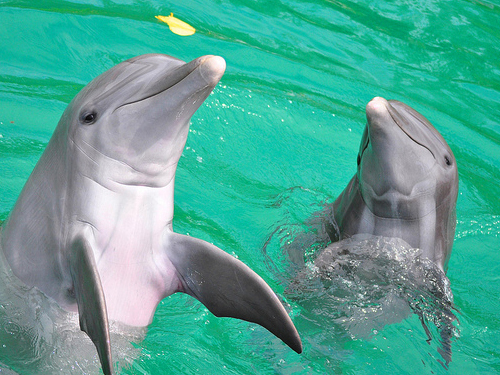 In the specially designed enclosure of our saltwater lagoon, dolphins live just like they would in the wild. The lagoon is merely a short, 20 minute boat ride, through the gorgeous Caribbean, from the UNEXSO site located in Port Lucaya. Once you arrive at our dolphin home, you can enjoy all nine acres of its unspoiled salt marsh locale on the southern shore of gorgeous Grand Bahama Island. 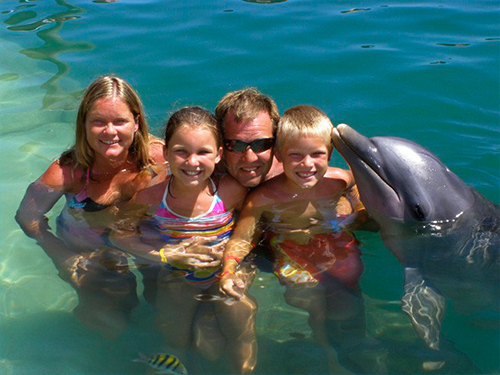 Once you meet the dolphins face to face you will be filled with joy and happiness at their charming behavior. They love the company of people and like nothing more than to receive a hug from their non-aquatic companions. Sometimes they will even let you give them a friendly kiss or two. Not only are these animals demonstrative, they are also very active and can perform some amazing, gymnastic feats in the water. 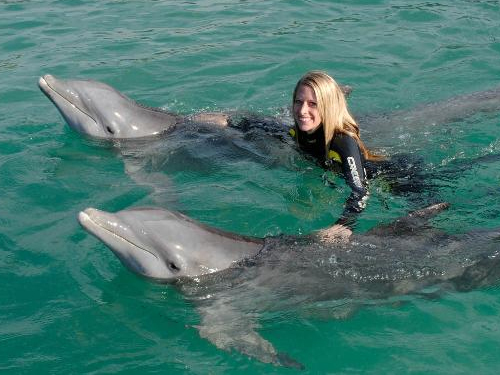 Your visit will be made all the more enjoyable by our dedicated staff of professionals who will show you how we train our dolphins. Our staff will even show you how to guide these marine mammals to execute their many awe-inspiring tricks, such as flips, summersaults and tail stands. They will also make sure that visitors get to spend the maximum amount of time interacting with these amiable sea creatures. Finally, you will be informed on all the amazing traits of the dolphins, which have mystified scientists for ages. Learn how they communicate verbally, just like humans, and how they also utilize sonar navigation to hunt for food and keep their intricate social systems alive. And, most importantly, learn how important it is to conserve and preserve natural dolphin habitations and what is being done to restore their precious homelands today. The program has you in the water with the dolphins for a full 20-25 minutes. 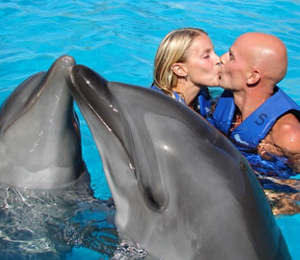 I have been to the Bahamas many times, but UNEXSO Dolphin Swim is one of my favorite trips! It includes everything that everyone should do here. As a Bahamas veteran, I can say only the best about this experience!